The latest version of Microsoft Office is here! Office 2019 is packed full of new features and improvements, and is designed to help you get the most out of your work, wherever you are. Old favorites Microsoft Word, Excel, and PowerPoint have all been enhanced with new capabilities, as well as upgrades across the whole suite. 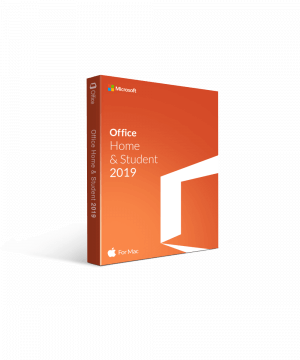 Whether you choose Microsoft Office 2019 for home, business or your studies, you’ll love the increased productivity and professional quality work it can help you achieve. The most popular productivity software in the world, Microsoft Office is a suite of desktop applications that give users capabilities across spreadsheets, word processing, presentations, email, databases, and more. Microsoft Office is sold as a one-time purchase. This gives the user a perpetual license which means no further costs or subscription charges are due after the initial payment. Each license covers one PC. Microsoft Excel, a data analysis program where users can analyze data with simple or complex spreadsheets. Microsoft Word, a word processing program where users can create and edit text documents, as well as create and edit PDF documents. Microsoft PowerPoint, a program that allows users to create impressive presentations. Microsoft Outlook, an email management program where users are also able to stay on top of their calendars, tasks, and contacts. Microsoft Access, a program where users can create databases and develop application software. Microsoft Publisher, a graphic design application used for the creation of marketing materials. Note that not every application is available in every suite. Microsoft group applications together based on whether they will be used for home, business or student use. This means that businesses are able to access a wider range of functionality to meet their needs, while home or student users are not paying for unnecessary applications. What Makes Microsoft Office so Popular? 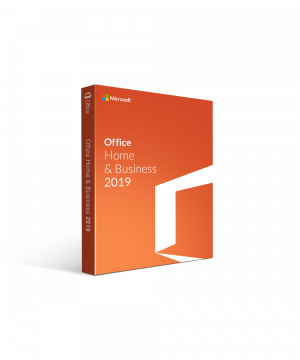 With so many similar programs on the market, you may wonder what makes Microsoft Office the world leader that it is today and whether it is right for you. There are, after all, scores of word processing alternatives available, and several other spreadsheet applications that you could opt for instead. The answer, lies in Microsoft Office’s ability to deliver intuitive, easy to use programs, that offer state-of-the-art functionality and above all else, the highest of quality. In addition to this, Microsoft Office is used the world over, so you should never encounter an issue with compatibility when sending or receiving files. Its popularity also means that once you have learned how to use it, you will be able to transfer that skill between employers. Every application is made user-friendly by the presence of useful search features like Tell Me. This feature allows you to ask how to do something, and Tell Me will show you a selection of possible commands or solutions. So What’s Different in Microsoft Office 2019? Microsoft OneNote is no longer included as a desktop application in Microsoft Office 2019, being replaced instead by OneNote for Windows 10. 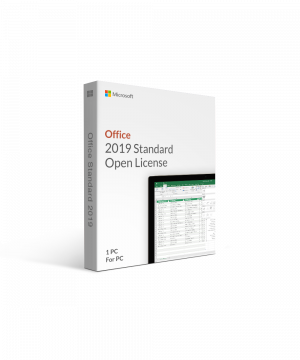 As well as this, Microsoft Office 2019 will only run on Windows 10 operating systems, and will not be supported on Windows 7 or 8. Another change is in the deployment of Microsoft Office 2019, with client apps only available as a Click-to-Run installer, as opposed to the Windows Installer option. 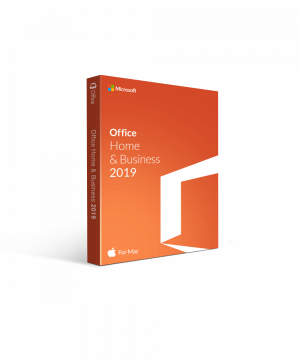 One thing that hasn’t changed, is Microsoft’s commitment to innovation and designing great software, and Microsoft Office 2019 is no exception to that. Packed with new features, updates, and enhancements, Office 2019 promises to be the most powerful version of Microsoft Office yet. Advances in inking capabilities can be seen across the whole suite, giving touchscreen users features like pressure sensitivity, the roaming pencil case, and new tilt effects. Morph and Zoom in PowerPoint allow you to easily create sensational presentations that will captivate your audience. In addition, Excel welcomes new formulas, graphs and charts, plus Excel to PowerBI publishing abilities. And What’s Different in the Office 2019 Programs? Effectively get your ideas across with the updated Microsoft PowerPoint 2019. Design features such as Morph and Zoom give you the ability to create stunning presentations, while improved inking capabilities let you explore different styles with the ability to change line thickness, add effects and try different colors, all from your tablet or touchscreen PC. Bring out the best in your writing with Microsoft Word 2019. Never has it been so easy to take something from blank page to polished document. New for Microsoft Word 2019 is the addition of a sleek black theme. You can use Learning Tools while you write or edit your document to assist with reading fluency and comprehension. Accessibility improvements include new text to speech capabilities, plus captions and audio descriptions. 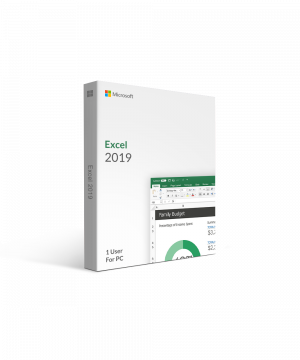 Take powerful data analysis to the next level with Microsoft Excel 2019. Enhanced features include the ability to publish from Excel to PowerBI, allowing you to create highly interactive dashboards and reports based on the data contained in your workbook. Gain further insights into your data with new functions and connectors, plus updated charts and graphs. More than just an email client, Microsoft Outlook 2019 keeps you organized and in control. Use travel and delivery summary cards within Outlook to help keep your travel plans in order and manage package delivery details. As well as this, Focused Inbox makes sure you never miss an important email by separating your inbox into two, Focused and Other. We know that you don’t want to wait to get started with your new software. That’s why all of our Microsoft Office products are available as an instant download. As well as convenience, you can rely on our team of experts for superior customer support, along with the best prices on authentic Microsoft software products. Why wait? 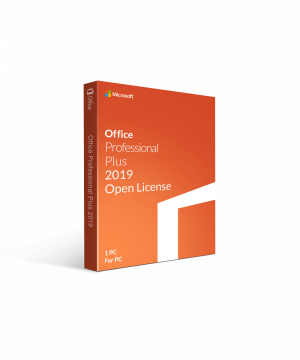 Upgrade to Microsoft Office 2019 today.